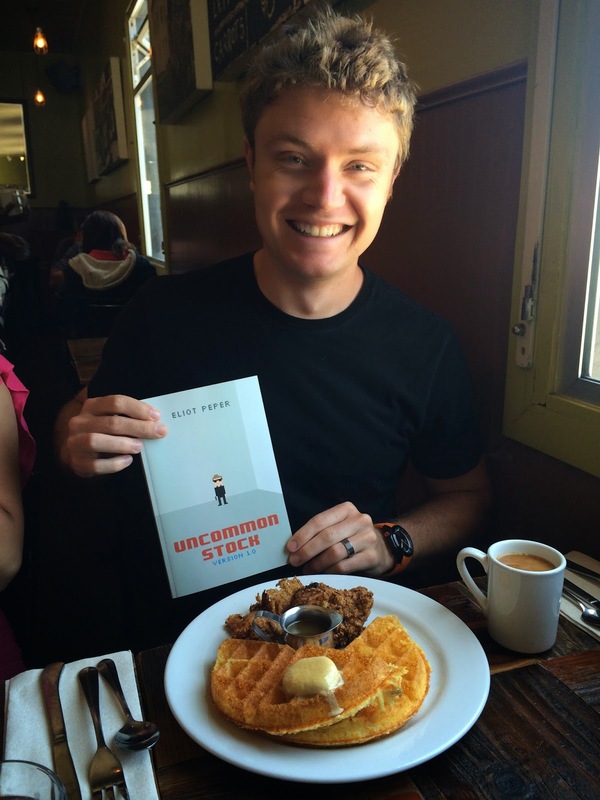 Uncommon Stock launches in paperback! We had to leap over a number of hurdles to get it out the door: beleaguered type-setters, troublesome printing companies, a little retailer known as Amazon, etc. But it's finally here and I'm thrilled to actually be holding the book in my hands, big thanks to FG Press for making it happen. Don't get me wrong, I love ereaders and I think the digital format is great. But there's something really special about holding a physical book. All those trees didn't die in vain. Signing the very first proof from the printer. Launching the paperback is the perfect opportunity to close out the Editing a Novel Series. All you would be authors out there now have a complete overview of the editorial lifecycle from first draft to launch day. Well, "complete" may be an overstatement but hopefully you can learn from how I bumbled through the process. Beta Readers. These friendly folks are your first defense against sucking. They triage your manuscript for big flaws and help you find your blind spots. Treat them well and you'll learn a lot. Developmental Editing. After your beta readers have chewed up your writing and spit it back out, it's time to engage a kickass developmental editor. They will help you improve the structure, balance, and pacing of your story (fiction or nonfiction). I found the process invaluable. Copy Editing. You simply can't do without a good copy editor. They take a manuscript and turn it into something readers might actually enjoy. Em-dashes, serial commas, consistent dialog tags, there are countless details that we take for granted when reading a book that we're not even consciously aware of. Don't you dare skimp on copy editing if you expect others to read your upcoming book. Once you're done with copy editing, your manuscript is almost ready for game time. You probably already have your cover design in hand. You're working on setting up your different distribution channels. Maybe you're sending off a few preliminary review copies. The end is in sight. More realistically, the beginning is in sight if you're hoping to build a career as a writer! But nothing will throw off your launch day like someone pointing out that your story starts, "Once upon a dime..." or "In tje beginning..." It can get much worse than that. The 1632 edition of the King James Bible missed a critical word in the 7th commandment and read, "Thou shalt commit adultery." That's why you need a proofreader. Good proof readers are obsessively meticulous folks who will tease out dozens of errors that you never knew existed even though you've been through the manuscript 657 times. It pays to sweat the small stuff. No reader wants to break their suspension of disbelief because of a goofy formatting mistake. Those are the easiest things to fix and they make an unduly large impact on how easy it is to enjoy your book. 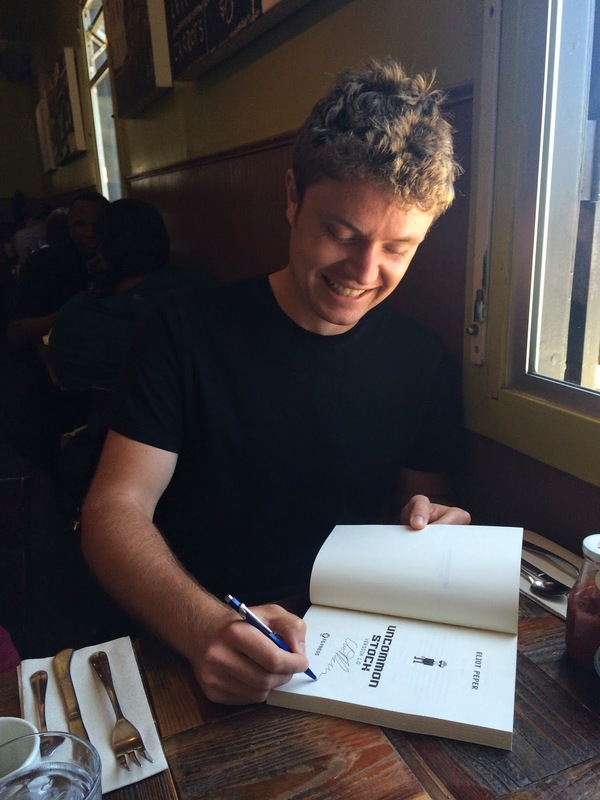 Fried chicken and waffles... and books! It should be as easy as possible to enjoy your book. Thousands of titles are released every day and readers have limited time and an impossibly large pool of books to choose from. My goal is to delight my readers (i.e. you) in every way I can think of and make their day as often as possible. That includes checking for spelling errors. But you want to know a little secret? Even the best proofreader will inevitably miss things. Once Uncommon Stock was released, readers immediately began reaching out to me with corrections. For example, a carabiner is a rock climbing device but a carabineer is a calvary soldier. Oh, and the colorful row houses you see en route to San Francisco from the airport are not Victorians. Books are living things and we plan to make constant updates to Uncommon Stock with corrections and more. You guys are as much a part of the process of crafting it into the best story it can be as any professional editor. So when you turn the last page of the beautiful new paperback, reach out and let me know all the little tidbits you find along the way and share your thoughts on the book in an Amazon review. There is always opportunity for improvement and you guys are the people I'm writing for. Like what you're reading? Enter your email for the inside scoop, exclusive content, and updates on new releases. No spam, ever.